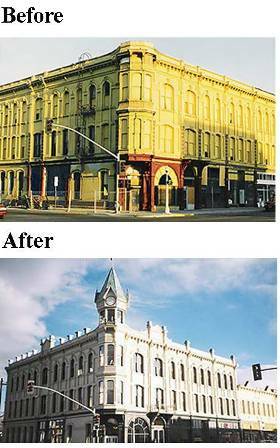 Historic Baker City, Inc. is a downtown revitalization organization modeled after the National Trust for Historic Preservation’s National Main Street Center. The Main Street Program revolves around a structured approach to downtown revitalization: organization, design, promotion and economic development. Historic Baker City, Inc. (HBC) was established in 1982 as a volunteer organization with a focus of preservation and promotion of Baker City’s historic downtown as a means of economic and community development. Historic Baker City, Inc.’s mission is to develop and promote a healthy and prosperous downtown, serving a community rich with culture and history. 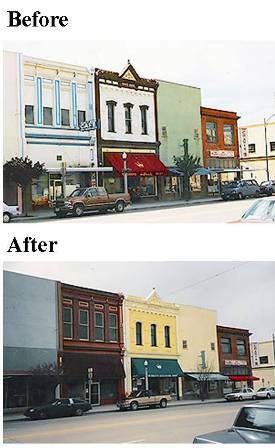 Historic Baker City's Destination Downtown program was conceived in 1991 and implemented in 1993 to establish downtown Baker City as a destination for both local residents and out-of-town visitors alike. These efforts were intended to create jobs through expanded retail shopping offerings, improve community pride and livability, and establish Baker City as a cultural/heritage tourism destination. Adopted as one of the key components of Baker County's economic development strategic plan, Destination Downtown revolves around preserving, promoting and capitalizing on downtown Baker City's Historic District. Nominated to the National Register of Historic Places in 1978, Baker City's Historic District is not only the largest historic district in Eastern Oregon, but it is also the largest commercial historic district in the state of Oregon. Since 1993, the Destination Downtown program has helped facilitate more than 80 restorations within the downtown district, attracting attention in state and national historic preservation arenas. Streetscape projects, providing the downtown with banners, benches, trees, bicycle racks, planters and historic district signs, have dramatically improved the downtown environment and sense of vitality.